According to Rhonda Byrne (author of “the Secret” book series) one out of the many secrets to a fortunate and blissful life is gratitude. It is a common belief that the more we thank and be grateful for the happiness in our lives, the more the happiness knocks our door. Hence, we can use gratitude as an imaginary happiness multiplying tool. Considering the same phenomenon, the concept and the story of Thanksgiving Day was introduced in different parts of the world. Thanksgiving Day is celebrated in most of the countries, though, on different Thanksgiving Day dates. Along with different date of Thanksgiving Day, different countries also possess different Thanksgiving Day history as well. Thanksgiving Day in the USA is celebrated every year on the last Thursday of November and hence, Thanksgiving Day in the USA will be celebrated on the 23rd of November. As the festival almost around the corner and so is the holiday season, I am sure that most of you would be looking for some kind of fun-filled Thanksgiving traditions to be adopted this season. 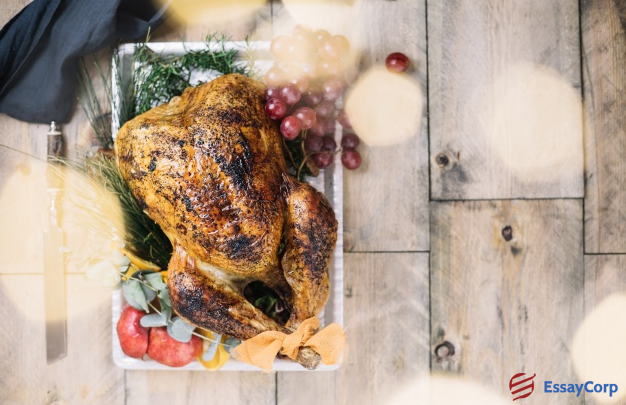 Well, if you too are in search of some kind of unique Thanksgiving traditions, then you have landed on the right page; we have mentioned the best and the most unique Thanksgiving traditions to add a little spice of fun to your regular Thanksgiving day celebrations. 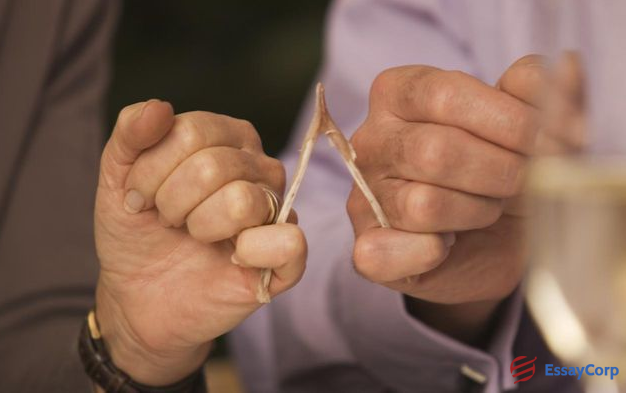 One of the very interesting as well unique Thanksgiving traditions in America is the breaking of the turkey wishbone. Everybody cooks Turkey on Thanksgiving Day in the USA and the wishbone is actually the bone; furcula. It basically denotes the fusion of two clavicles and is situated between the breast and the neck of the turkey. The bone is fork shaped and is to be broken by two individuals. In accordance with the Turkey wishbone tradition, the person who receives the longer portion of the turkey wishbone wins, gets lucky and is given the privilege of making a wish using bone. Also, if both of the individuals land up with same length of the turkey wishbone then both of them get lucky and get to make a wish. Everybody organizes Thanksgiving dinner at their place on the Thanksgiving Day in the USA; one good way to make it look more attractive is by adopting this yet another tradition from our list of unique Thanksgiving traditions. It includes designing a customized butcher paper tablecloth for the dinner. This Thanksgiving tradition is super easy and all you need to do is to make interesting illustrations and write each of your guest’s names on the butcher paper table cloth. 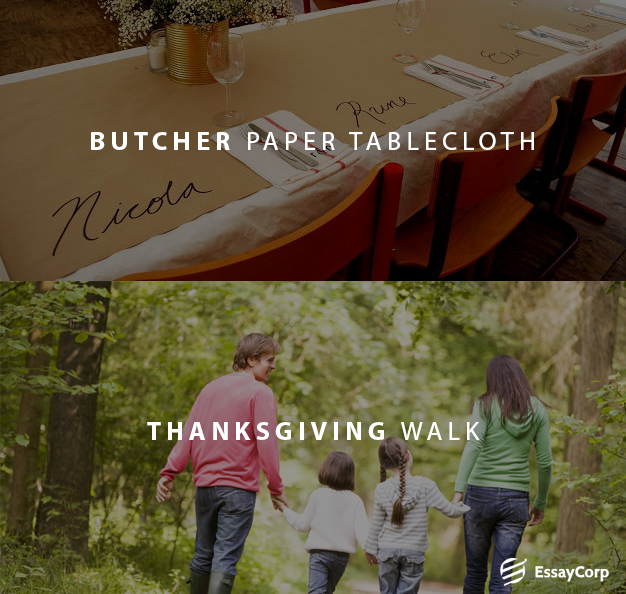 You can ask the guests to sit in accordance with their names and at the end of the Thanksgiving dinner; they all will write the things they are grateful for on the butcher paper table cloth itself. This Thanksgiving tradition will make your table attention-grabbing and your guests will remain startled by the presentation. Thanksgiving Day in the USA includes a hefty Thanksgiving dinner and feast which is always accompanied by the wine. This Thanksgiving tradition follows strictly, the Thanksgiving theme of gratitude. According to the Thanksgiving toast tradition, everybody on the Thanksgiving dinner table has to make a toast by raising the glass of wine in air. By making the toast the individuals express their gratitude and wish for future bliss in their lives. This adds on to the Thanksgiving spirit and is one of the fun-filled, unique Thanksgiving traditions in America. Yet another very useful and interesting Thanksgiving tradition includes the gratitude tree. This is one of those Thanksgiving traditions in America which is enjoyed and cherished by almost everybody, including the little ones. In this Thanksgiving tradition, people make colorful leaf shaped cut-outs from colorful paper and express their gratitude by writing the things they are thankful for on them. Following this, each of the leaf is collected and arranged in a bunch which is made to hang upon either an original or an artificially created gratitude tree. This Thanksgiving tradition of using the gratitude tree is quite enthusiastic and connects to the original Thanksgiving tradition of expressing gratitude. Well! This one surely is one of the most unique Thanksgiving traditions in America, and it is followed nowhere except the country. This particular Thanksgiving tradition includes the checking of weight of each person before the Thanksgiving feast and after the Thanksgiving feast. 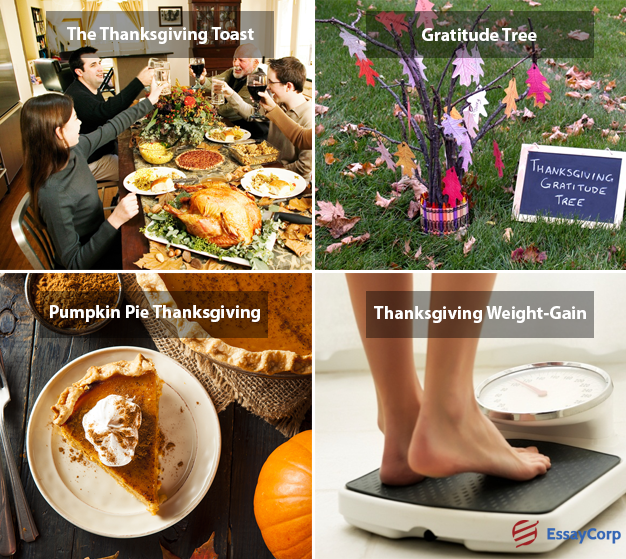 Although, everybody does binge eating on Thanksgiving Day in the USA, but according to this ecstatic Thanksgiving tradition, the person with the highest gain in the weight is thought to be the gluttony one. The bulky Thanksgiving feast and the binge eating calls on for a group walk in the woods or the riverside. 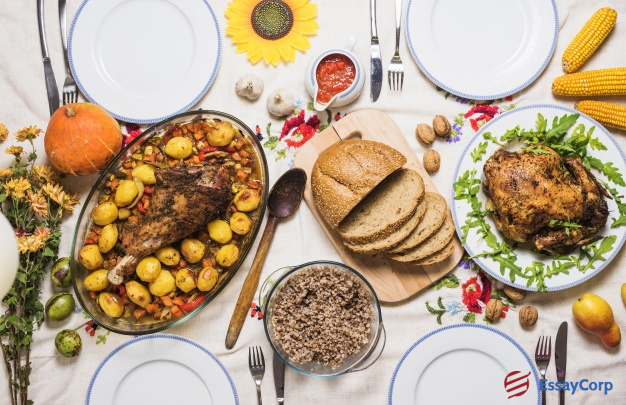 This healthy yet unique Thanksgiving tradition is the one that you should surely adopt to ensure a good health even in the festive mood. Hence, mentioned above are some of the most amusing and unique Thanksgiving Day traditions in America. Isn’t this a good start to your holidays? I am sure you are going to adopt some of these very unique Thanksgiving traditions for sure. Enjoy your festival holidays to the fullest and leave all your assignment and homework worries behind, as EssayCorp is always up with its assignment writing services. So, what are you waiting for? 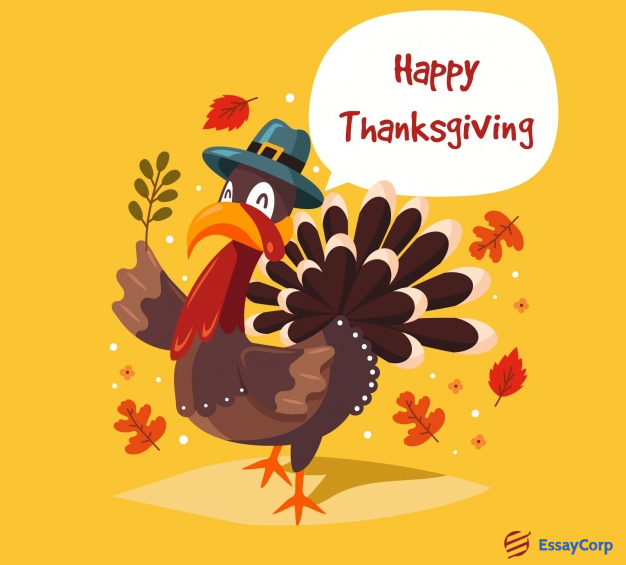 A fun-filled holiday is just a click away, book your assignments from EssayCorp and get an additional 5% discount under the Thanksgiving offer.